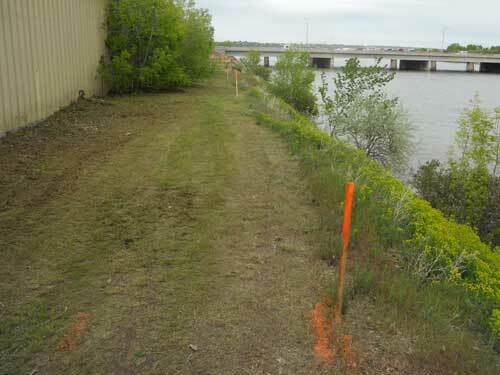 This important extension to Rivers Edge Trial incorporates many challenges including highway and railroad underpasses adjacent to the Missouri River. 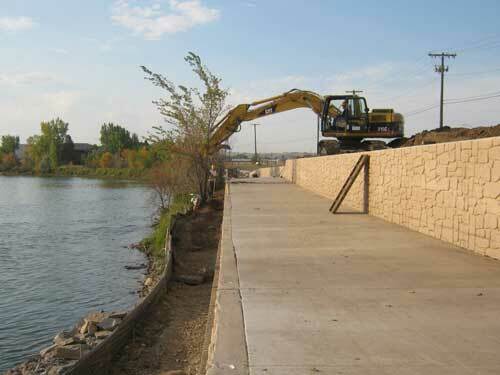 Complex easement and permitting issues were solved to allow the design and planned construction of this trail segment. 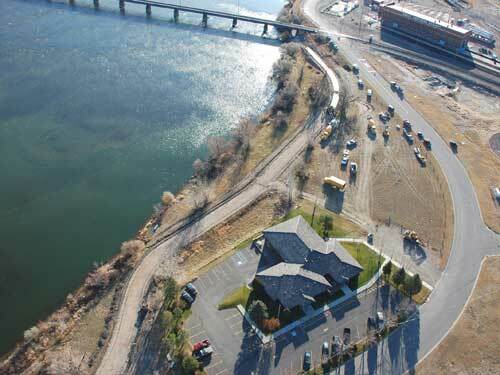 The trail includes a precast concrete bridge, retaining structures, hydraulics structures, reinforced earth walls, ADA compliance and various associated park improvements. Funding from CTEP and RTI paid for the design and construction of the trail. TD&H Engineering provided and coordinated full-service engineering services for both projects including planning, CTEP funding application preparation, alternatives analysis, public outreach, surveying, preliminary design, landowner coordination, BNSF Railway permitting, stream bank permitting, final design, bidding, construction inspection, layout, construction materials testing, and funding agency coordination.